Gross Weight (GVWR) 11950 lbs. 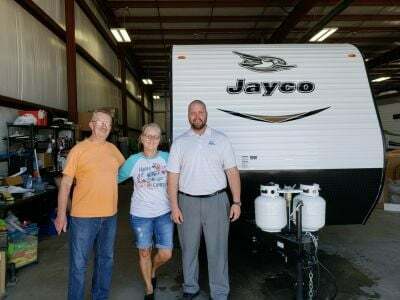 Have more great camping trips with the 2018 Jayco Eagle HT 30.5MBOK! 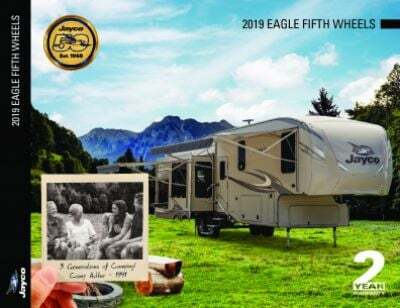 Every trip will be one to remember with this 5th Wheel! 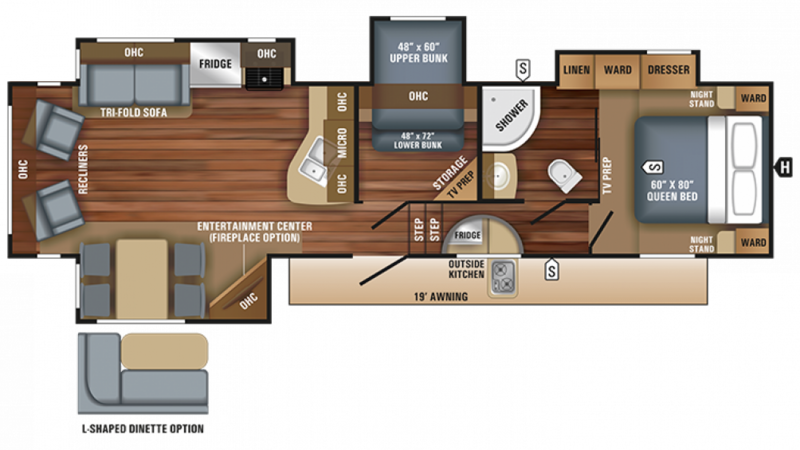 At Gillettes Interstate RV, you'll enjoy easy financing for affordable, high-quality RVs. It's just one of the reasons why we're known as one of the best RV dealers in Michigan! 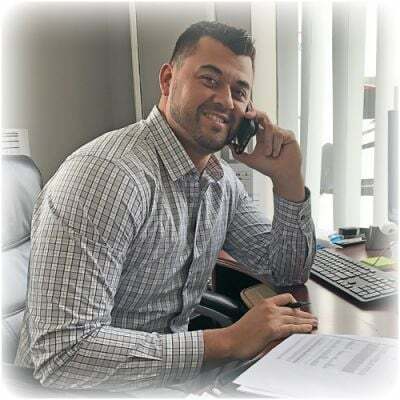 Visit us at 7210 E Saginaw St East Lansing Michigan 48823, or call us at 517-339-8271 to talk with one of our certified RV experts! This RV has a hitch weight of 1795 lbs. and has a sturdy GVWR of 11950 lbs, which means that this RV will give your family years of camping fun! It's easy to set up, along with the 20' 0" patio awning that provides shade and protection for outdoor fun! Sleep like royalty each and every night with the master bedroom's Queen bed! There's enough sleeping space for up to 9 people in this 5th Wheel! 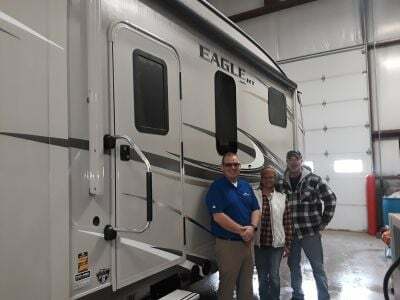 Fast food meals on the road are expensive and tiresome, but that's never a problem when you're traveling in the Jayco Eagle HT 30.5MBOK because the kitchen comes with a great suite of appliances! The 3 burner range cooktop lets you whip up tasty hot meals anytime and the 8.00 cu. ft. refrigerator will hold all your favorite meats, veggies, and cold beverages! With the 75 gallon freshwater tank, you'll never run out of the water to clean, drink, and cook with! Even hundreds of miles away from home, you can still enjoy a long, hot shower or the use of your own, private Porcelain Foot Flush toilet! With 60 lbs. of LP tank capacity, your showers will stay hot at any time of the day! The 32 gallon gray water tank and the 32 gallon black water tank store your used water and waste, so you don't have to deal with it! Make your favorite dishes under the sun using the outdoor kitchen!